This week, my International Economics class ventured into the old silver mines of Schauinsland. 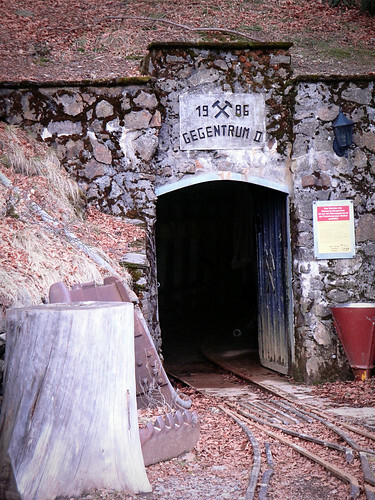 These mines date back to the 13th/14th centuries, and used to make nearby Freiburg one of the richer cities in Europe. Our class was studying the development of trade over the centuries in this region, and the effects of having access to sooo much silver. 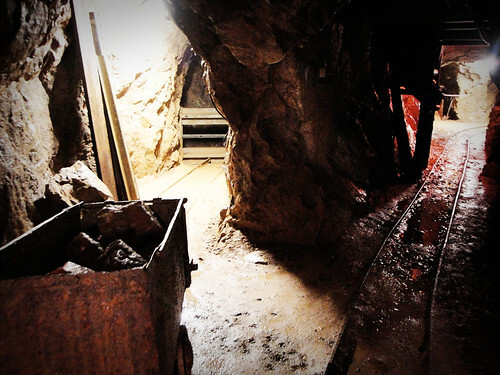 Starting out, I had no idea what to expect in the mine…. 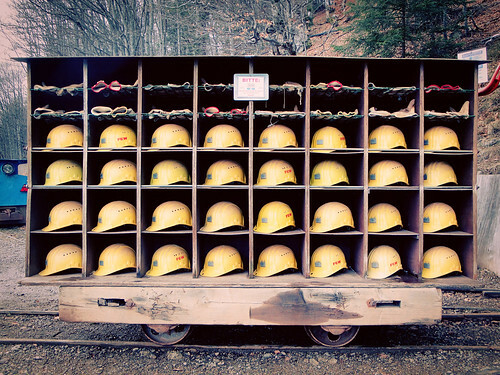 But when our guide wheeled out this huge cart full of helmets and gloves, I knew we were in for some heavy-duty mine-crawling! Inside, it was dark, wet, and a tight fit. Plus, the stale and stagnant air was a constant reminder of the mine’s old age, forever untouched by the sun and unexposed to the wind. Some tunnels were tiny, like this one dating back to the 14th century…. Exploring the mine and learning about the evolution of mining techniques was interesting and totally new to me – I loved it! But after an hour and a half in the mine, everyone was definitely grateful to smell the fresh air and feel the outdoor breeze again. And! 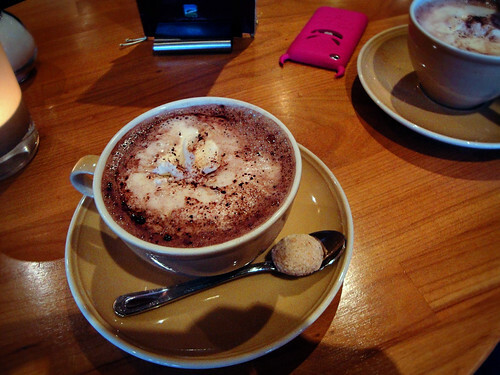 We ended our day at the mines with hot chocolate at a hotel near the bus stop. Yum!